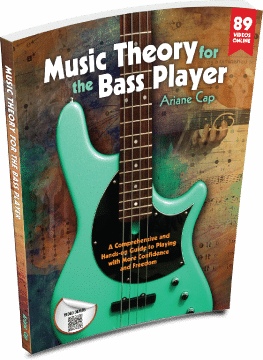 “Hi Ariane, as a self-taught bass player for many years I strongly believe that I did the best investment of my life buying the course. For the first time, I hear myself playing exactly what I want, nothing more, nothing less. “Yes, the course is something very hard to describe in words and how much it means to me. I remember that all I was playing on my bass for more than 30 years was Root & Five. But now ( after studying the course with you ) I can write my own bass lines, I can read music ( before I could read TAB ) and now everything I play makes sense. I know what I play when I play and why I play.